Reviews, interviews, overviews, other views, & giveaways too. *** Revues, entrevues, vues d'ensemble, autres vues, et concours itou. Akashic Books continues its award-winning series of original noir anthologies, launched in 2004 with Brooklyn Noir. Each book comprises all new stories, each one set in a distinct neighborhood or location within the respective city. Following the success of Toronto Noir, the Noir Series explores new Canadian terrain, featuring both English and Francophone authors. Brand-new stories by: Patrick Senécal, Tess Fragoulis, Howard Shrier, Michel Basilières, Robert Pobi, Samuel Archibald, Geneviève Lefebvre, Ian Truman, Johanne Seymour, Arjun Basu, Martin Michaud, Melissa Yi, Catherine McKenzie, Peter Kirby, and Brad Smith. Montreal is one of the oldest cities in North America and seems to be in a constant state of flux, changing its personality every few decades. 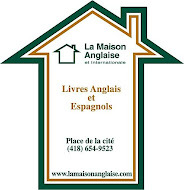 Today, the city has its own language: Franglais (or Frenglish). Maybe the first word spoken in that language was noir . 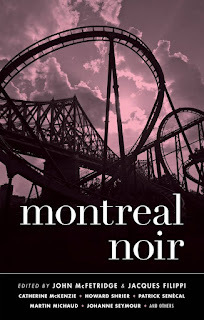 . .
Perhaps it’s fitting that a collection that brings so many of Montreal’s cultures together is noir. Much of the city’s literary tradition was defined by the two solitudes and most of the works delved deeply into single neighborhoods . . . 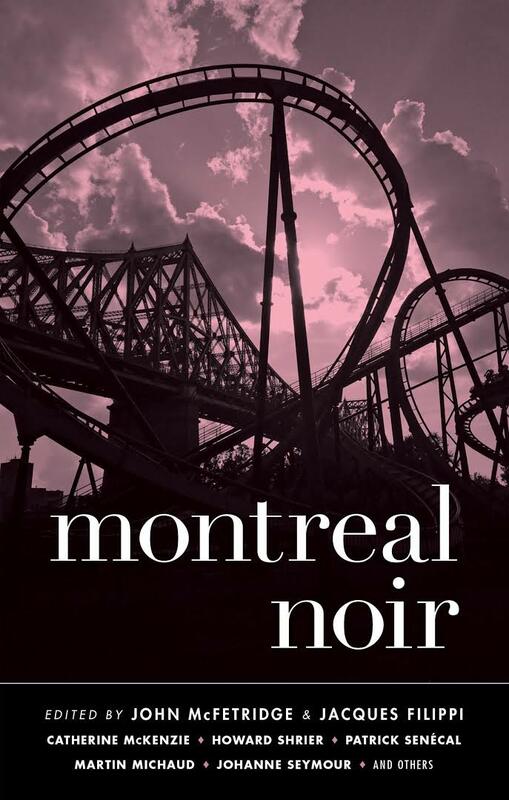 This collection, with voices of both French and English writers, visits many neighborhoods and combines them into something that is, if not totally coherent, at least as coherent as the beautiful mess that is Montreal . . . Each neighborhood is different, and of course, each Montrealer (Montrealais) is different, making up the pieces of the mosaic of our city. Some are bright and shiny, others are darker and somber, but all have a shadow in the noir. Hello, remember me? I'm still working on my "soon-to-be-online, brand-new website" but lots of travelling for full-time work (and life in general) is complicating things quite a bit. I also wanted to write a list of my recommendations for Summer Reading but that was pushed aside as well by other commitments (those that come with $$$ and that help pay the bills and feed the kids). But hey, summer's not over so here's a short Q&A with writer K.J. Howe about her thrilling debut-novel "THE FREEDOM BROKER". It's the perfect summer read packed with explosions, murders, kidnappings, and romance; a well-written story with believable characters that are carved out of life experiences, an action-packed plot that'll sometimes leave you breathless and on the edge of your seat. Even if it's all fiction, it all feels well-researched and you'll learn about hostage rescue missions, the wheeling and dealing of international corporations (specifically on environment and natural resources), and maybe learn a word or two of Greek. UPDATE: I almost forgot that I have a giveaway for you. 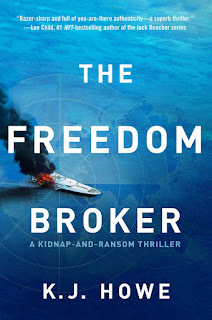 A free, signed hardcover copy plus a baseball hat of The Freedom Broker! Send me an email at housecrimyst@gmail.com if you're interested. I'll draw a name out of the hat, on Saturday, August 19th at noon (Montreal Time). Bonne chance! HoCaM—Can you tell us about the inspiration for Thea Paris and her interesting job? KJH—Lovely to be here with you today. Thanks for inviting me to talk about Thea Paris and THE FREEDOM BROKER. There are twenty-five response consultants in the world who travel to global hotspots, risking their lives to bring hostages home. These elite kidnap negotiators often come from MI6, the FBI or other governmental backgrounds, and they usually speak at least one other language. With over 40,000 reported kidnappings a year, there is a growing demand for these skilled individuals. After intensive research into the world of kidnap and ransom, I created Thea Paris, a female freedom broker who has a very personal motivation for pursuing this line of work. HoCaM—Thea suffers from Type 1 diabetes; although it is not life-threatening when monitored properly, it can become lethal without proper care. This gives you an emotional aspect to Thea (it’s always in the back of her mind) while also providing you with an additional tool to raise the tension when Thea is in the middle of the action and getting physically weaker. How did you manage the general storyline, and specific action sequences, while never leaving out the potential dangers of insulin deficiency? KJH—Vulnerability in a character is critical, as it offers a human dimension. Who wants to read about a perfect person? Although Thea is smart and capable, she is far from infallible. She has emotional issues rooted to her family background, and she has diabetes, a disease that demands daily care. I wanted to demonstrate that having a chronic illness, diabetes or otherwise, doesn’t have to stop you from reaching for your dreams and pursuing your dream career. I worked as a medical writer for many years, and my grandfather had diabetes, so there was a personal connection to choosing this illness. I also spent intensive time speaking to several active women who had type 1 Diabetes, as I wanted to do my best to accurately represent this illness. Not wanting to overwhelm the reader with too many details and mentions of diabetes, I tried to weave it through the story in a natural way, mimicking how it would affect someone in real life. I relied on my editors and my friends with diabetes to give me feedback on how much was enough. I was honoured that the American Diabetes Association chose to feature THE FREEDOM BROKER in their monthly magazine. HoCaM—How extensive was the research for The Freedom Broker, and do you stop the process entirely when you start writing, or is it ongoing? KJH—For the past three years, I’ve been meeting with kidnap negotiators, former hostages, reintegration experts, K&R insurance executives, and Special Forces soldiers who deliver ransoms and execute rescues. I’ve immersed myself in this world, and my education continues every day, as I meet new contacts and enrich my understanding of this growing international crisis. I hope that the FREEDOM BROKER series brings attention to all the hostages out there who have yet to come back home. HoCaM—You must have wondered a few times, either while researching or writing, how you would react if you were ever held hostage; what would help you stay sane and hopeful? KJH—Excellent question. It’s impossible to predict how I would handle captivity, but given my research, I hope that the knowledge would help me persevere. The good news is that over 90% of hostages are eventually released. I would keep that stat forefront in mind, and I’d use the desire to get back to my loved ones as a motivator to survive. When humans are under threat, we are biologically programmed to fight, flight or freeze. All of these natural reactions need to be controlled, as they can be deadly in a kidnapping. Instead, we need to summon mental strength to endure: endure the boredom, the hardships, the beatings, and the fear of waking up every morning wondering if today might be your last. It’s critical to establish routines, keep your mind active, and foster a burning flame of hope that you will go home one day. I’d also try to find a way to bond with my kidnappers so I could secure small luxuries like soap, a toothbrush, along with paper and pen. My abductors might have control of my body, but I would fight tooth-and-nail to maintain control of my mind. HoCaM—Working as executive-director of ThrillerFest means that you’re in touch with many writers; what is the best advice about writing that you’ve received? 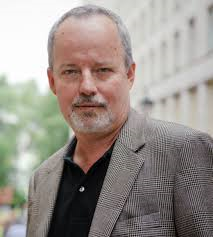 KJH—I’m honored to know many talented writers via ThrillerFest, and it has been an incredible journey learning from these masters of the genre. The piece of advice I treasure the most comes from my mentor, David Morrell, creator of Rambo and author of over 40 bestsellers. David advises authors to be “the best version of themselves rather than a second-best version of someone else.” We’re all huge fans of super talented authors, but what they write comes directly from their hearts, minds, and souls. We need to tap into our own muses, figure out what we’re passionate about, as I believe the best stories come from writers who live and breathe their characters and stories. I always knew I wanted to write a strong female protagonist, and kidnapping captured my imagination. Listening to what really spoke to me meant that instead of chasing any trends, I created the story of my heart. We can’t control how readers will react to our tales, but I do believe they can sense when the story and characters come from a genuine place. David is a brilliant man, and I’ll always be grateful for his thoughtful guidance. HoCaM—You move the plot of TFB in various places around the world and you give each of them specific details that help immerse the reader very effectively. You’ve traveled extensively and lived in different countries; is there one similar aspect that you’ve noticed in every single country? And what do you want to experience, or are looking for, when you go to a country you’re visiting for the first time? KJH—My father worked in telecommunications so we lived in many different places, including Africa, the Middle East, Europe, and the Caribbean. I loved the adventure, the travel, and the helpful education experiencing such a variety of cultures. The one common element in every country was the importance of family. No matter what language people speak, what religion guides them, or what their values are, family is paramount. That’s why the major theme of every book I’ll write will be family—the interactions, the pain, the joy. It’s a powerful connector that brings us all together. When I visit a country for the first time, I try to engage my senses, discover the sights, sounds, tastes, feel of the place, so I can hopefully bring those experiences to the reader and make the setting come alive. I also speak to the locals, dig underneath the surface, trying to learn interesting facts about the place to add spice to my stories. HoCaM—Can you share a bit about your background and also your major influences and inspiration? 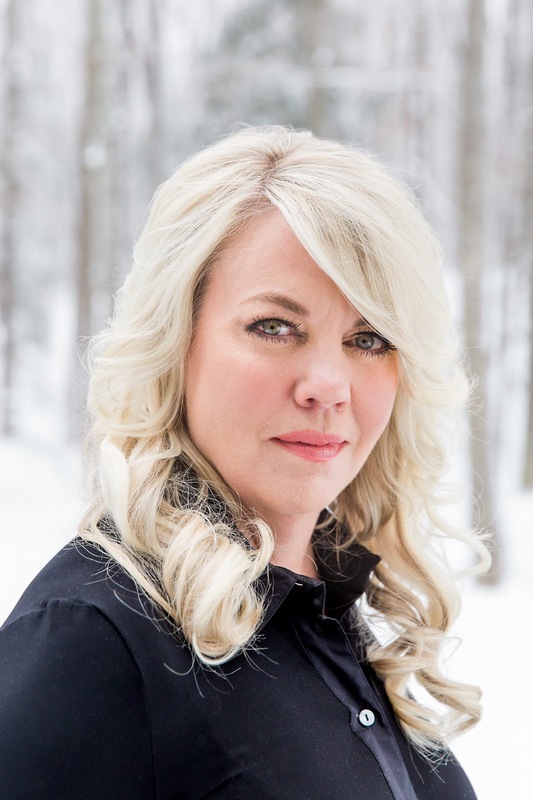 KJH—As I shared above, travel played a key role in my life, so I always knew I wanted to write international novels, and Thea Paris’ work ensures she’ll always be headed to a unique location. I’m an adrenaline junkie, doing things like: racing camels in Jordan, cage-diving with Great Whites in South Africa, hanging with elephants in Botswana. So the thriller genre kind of chose me. 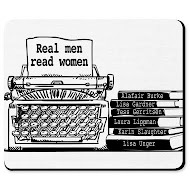 When I read BROTHERHOOD OF THE ROSE by David Morrell and THE PERFECT HUSBAND by Lisa Gardner, I thought to myself: If I could ever create a story that allows others to escape into another world like these authors have done for me, then that would be a dream come true. I worked hard on my craft, became a medical writer, and kept working on my fiction. I studied with incredible talents like Lee Child, Steve Berry, Karin Slaughter, and David Morrell. I hope to keep growing as a writer with every book. It’s truly a lifelong journey. HoCaM—What’s next for Thea? Do you have many stories in mind or are you going book by book? KJH—SKYJACK will be Thea’s next adventure, and the book will be coming out February 6, 2018. Thea is shepherding two African orphans to their new home in London when the plane they’re on is hijacked. Secret stay-behind armies from WWII, the CIA, the Vatican, the Sicilian mob—all play a role in this next adventure. I’ve also mapped out a few other novels in the series, as I am fascinated by Thea’s world and want to keep sharing her adventures. HoCaM—Any news on the film rights and translation in other languages? KJH—Yes, it's came out in the U.K. July 27th, and we’ve sold the rights in Poland, Croatia, Germany, Switzerland, Austria and we’re working on others. As far as film goes, I’ve connected with a talented producer, hoping Thea and Quantum International Security will be able to come to live on the screen. We have Jason Bourne, James Bond—wouldn’t it be great to have a female action hero? HoCaM--Thank you for taking the time to do this Q&A! I'm looking forward to reading SKYJACK. KJH-- Truly an honour. Thanks for inviting me, and I hope to see you again soon. Nick Cutter, author of the highly praised horror novels The Troop, The Deep (both with Simon & Schuster), and The Acolyte (ChiZine), returns with his most accomplished horror story so far: Little Heaven features unnerving scenes that will test your stress levels (and sometimes your gross level limits), roots of fear will creep and stretch around your brain, squeezing it in sync with your heartbeat. Cutter's writing is sharp (no pun intended), his dialogue is efficient, filled with funny repartee and tongue-in-cheek banter; also, one of the plot threads is a particular love story that kindles the fire of hope in this dark, dark world. 1. In The Troop, the story is set on an isolated island; in The Deep, the story takes place in a workstation at the bottom of the ocean; and now, in Little Heaven, danger is in a small settlement in the middle of nowhere. What makes evil scarier in smaller, more isolated or contained spaces? Nick: Well, I think that’s just one of those classic horror techniques. If you look at The Walking Dead or The Mist or … honestly, any number of horror works … The Thing, Prince of Darkness … anyway, it goes on … look at these and you’ll see one major element is isolation. The Shining! And one thing you’ll see—Lord of the Flies!—is that the isolation is in a lot of ways the driver of the plot and the action, and it allows a writer to show who these characters are. Because the person you are in a civilized setting, with rules and laws, may not be the person you are in an anarchic situation cut off from the rule of law. So there’s the external threat, which is whatever the writer or creator wants it to be, but it’s understood that ultimately, the biggest threat is from within: the people themselves, the way they manipulate and scheme and try to ruin one another, angling for some superior position within a crumbling structure. Or you’ve got characters who feel they couldn’t have gotten luckier, in that chaos and anarchy are their natural element, and until the events that got them isolated transpired, they never had the chance to indulge that savagery. 2. The Troop and The Deep are a mix of EC Comics-style horror with a good dose of gross and bloody stuff, Alien meets The Abyss meets The Thing kind-of stories; pure horror, some would say. 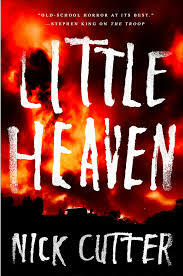 Little Heaven has some of those vibes but it’s also a Good vs Evil battle that you develop at a slower pace, with richly-drawn characters and a plot with more meat on the bone. How different were your approach and creative process for Little Heaven compared to what they were for The Troop and The Deep? Nick: That EC Comics analogy is apt for those books. There was a good dose of on the nose horror, pull no punches horror—which, honestly, is my speed. Horror kinda goes through epochs. There’s a wave of quiet horror, then more loud or splattery horror, then maybe quiet again … I mean, throughout this there are writers plying their trade on both sides of the divide, and maybe this is just a way for me to paint myself into a box and say that I’m some kind of rebel against the prevailing times (I’m not), but I feel that right now we may be in a more “quiet horror” time. And the books coming out of this are great; I won’t name any titles, because maybe those authors wouldn’t see it as a compliment or wouldn’t see themselves as writers of quiet horror. Anyway. I’m LOUD. You are what you are, right? You play to whatever perceived strengths you have. So yeah, those first books are loud, EC Comics, splatter-punky type books. Which is great, because that’s what I grew up reading in part. But I’ve always been interested in character, in drawing rich characters, in putting those characters through their paces and confronting them and changing them and seeing how those changes affect them. And I suppose as one goes along one wants to stretch a little, see if they can pull off a longer narrative—not War and Peace, not The Dark Tower series, but something with a little more heft. And that’s what I tried to do. Although I think in essence it’s still a simple story: three people go on a quest. 3. Little Heaven is also a story of friendship between unlikely friends and, ultimately, about redemption and hope. Without revealing (or spoiling) anything, I think that within its darkness it has a positive outlook that was absent from The Troop and The Deep. How important was it to create a different vibe, and did you think of an alternate, bleaker perspective and outcome? Nick: Yeah, I think you’re right. I mean, as a person, I’m generally a hopeful individual … I should amend. I think humans are capable of great love and nobility and grace and honor on a small, person-to-person scale. As a species, I’m kinda certain we’re on an extinction vector. But on that small scale—as family, friends, those small close unions—I see a lot of love and care and attention and yeah, hope. So I’d like to hope that’s reflected in Little Heaven moreso than the earlier books. The good thing about horror is that you can go for the bleak ending. I mean, some people read horror especially for those kinds of ending and maybe they’ll think ole Cutter’s gone soft with this new book. But it is reflective of my personal sense that people are capable of immense strength and growth and personal change—even the worst of us can be redeemed. 4. You also write non-genre novels, and non-fiction; was writing horror always the career plan, something you wanted to explore, or did you just have an idea one day and started from there? Nick: I can’t honestly claim I’ve ever had a plan! I’m still kinda just winging this. But the standard answer is that I grew up reading horror. I was a horror reader and horror lover first. Always. And while there was a time when I got into other kinds of books and had these other avenues opened to me and as such drifted away from horror for a bit—I mean, Christ, it’s a big ole world out there as a reader! But I came back to the fold, as I always kinda-sorta figured I would. And it’s been a happy homecoming from me. And a lot of my ideas … I mean, they hover on the edge. They occupy a grey borderlands. They could tip into horror at any time if you just mess with a few elements. 5. How has adulthood and fatherhood changed your perception of the things that hide in the dark? How do you prepare your child for them? Nick: Oh, well, massively. Both The Deep and Little Heaven (and the new Cutter book) all dwell in some way on matters of being a parent. There has never been a more profound and transformational event in my life. I’m obsessed with it, because it’s my element. I’m sitting here writing this and my kid’s running around, trying to feed the cats, distracting me, asking “What’s for dinner?” over and over. So he’s in my head—now he’s asking if he can go play Minecraft—all day and all night. And he’s the greatest source of both fear and joy in my life. As yet, he’s not totally afraid of things that go bump in the night … though the other day he pointed to the corner of his room at bedtime and said, unnervingly, that “The boat’s up there.” The boat? What the hell’s that? It’s an idea, is what that is! Anyway, I’m not sure there’s a way to prepare my son for what’s eventually going to scare him. Hold onto it, kiddo! I might say. You might end up making a living from it one day. Théodore Seaborn, un jeune publicitaire de Montréal, se remet d'un épuisement professionel après avoir été récemment congédié. Marié et père d'une petite fille, il passe ses journées à regarder des enregistrements de la Commission Charbonneau et à manger des Coffee Crisp. Le jour où ses réserves de barres chocolatées s'épuisent, il sort de chez lui et croise un homme qui lui ressemble de façon troublante. 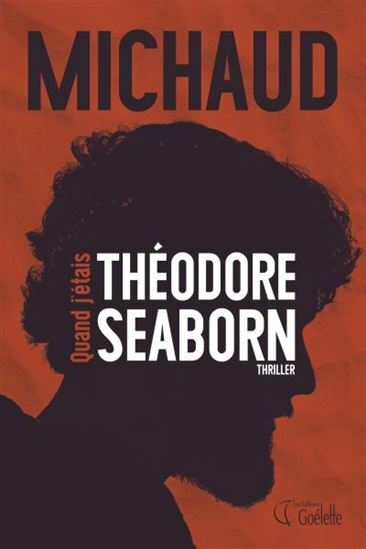 L'entêtement de Théodore à retracer cet inconnu et, plus tard, à croire qu'il appartient à une cellule terroriste vire bientôt à l'obsession. 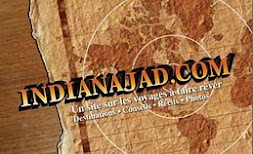 Mais par quel revers de fortune va-t-il se retrouver dans le fief de l'État islamique, en Syrie? De Montréal à Racca, Théodore affrontera tous les dangers, mais le voyage le plus risqué et le plus insensé de tous est celui qui le mènera au bout de lui-même. 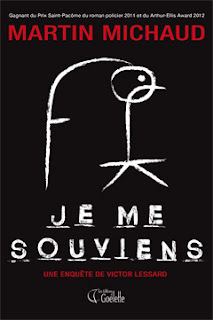 Qu'est-ce qui se cache de l'autre côté de soi-même? Pas mal intriguant, n'est-ce pas! (non, ce n'est pas une question). 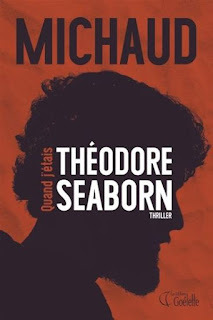 Quand j'étais Théodore Seaborn sera disponible en librairie dès le 5 novembre. Alors, pourquoi vous ai-je attiré ici si ce n'est pas pour vous donner mes impressions de ce roman (ou carrément pour vous donner un exemplaire du livre)? Eh ben, parce que j'ai deux (pas un, non, deux!) livres de Martin Michaud à vous donner : ce sont les deux plus récents romans de l'inspecteur Lessard, l'époustouflant "JE ME SOUVIENS" (publié en 2012) et l'intriguant et sombre "VIOLENCE À L'ORIGINE" (publié en 2014). Petit bonus, avec le premier vous obtenez aussi un...signet! Mais attendez, encore mieux, à l'intérieur du second, vous avez une dédicace de l'auteur! Sans blague, une vraie autographiée de sa vraie main droite. J'vous l'dis, j’étais là! Donc, si ça vous intéresse, envoyez-moi un courriel au housecrimyst@gmail.com ou laissez-moi un message privé sur ma page Facebook au (https://www.facebook.com/jacques.filippi) ou sur Twitter à (@housecrimyst). N'oubliez pas de me laisser vos coordonnées (adresse courriel au moins). Quand même facile, non? Même pas besoin de répondre à une question mathématique du genre : "si Martin Michaud mesure 6 pieds 2 pouces (environ) et qu'il écrit ses romans sur une chaise dont le siège est à 14 pouces du sol, mais qu'il a un coussin de 3 pouces sous les fesses et qu'en plus il se tient penché vers l'avant, à un angle de 77,8 degrés, combien combien de temps prendra-t-il pour reprendre sa taille normale lorsqu'il se lèvera de sa chaise, à la fin de la journée, poussé par une flexion des jambes égale à 4 pouces/seconde?" Si quelqu'un a la réponse (en cm c'est ok) j'aimerais la connaitre, avec tout le calcul utilisé aussi (comme disent les profs aux élèves, je veux voir les traces de tes calculs). Alors je vous dis MERDE! Les gagnants seront contactés par courriel et j'en ferai l'annonce officielle par la suite, ici-même. UPDATE: we have a winner and it is Wendy Hirschegger, of Brantford (Ontario). Congrats Wendy, and thank you to everyone who participated. Stay tuned for more giveaways all through summer. Want to read the new novels by Linwood Barclay and Giles Blunt before they are published? You only need to send me your name and address at housecrimyst@gmail.com to become eligible. I'll draw one name only for both advance reader's copies. You have until next Wednesday, June 24 at noon (Montreal Time) to register. Open to residents of Canada and the US only. 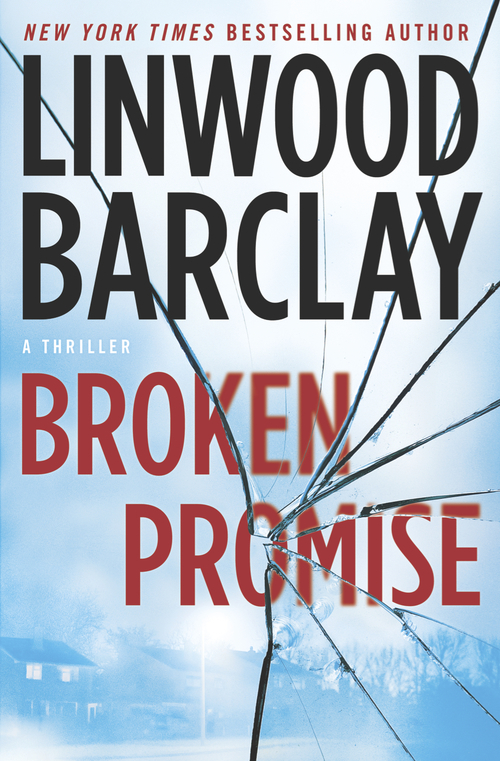 Broken Promise by Linwood Barclay (Doubleday Canada) will be published on July 28. 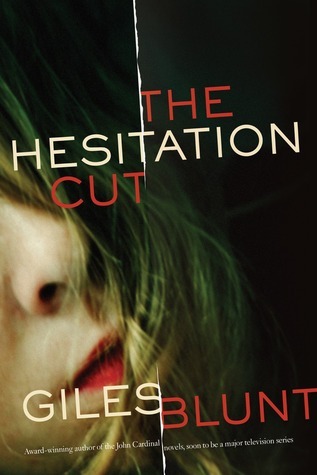 The Hesitation Cut by Giles Blunt (Random House Canada) will be published on August 18. 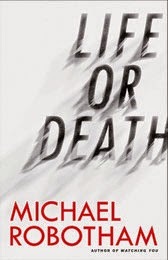 Michael Robotham's new novel, LIFE OR DEATH, is published in the US March 10th. It is already available around the world. 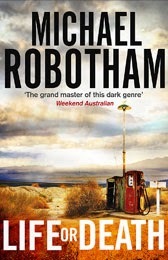 Probably Robotham's most accomplished book yet, very close to perfection: the plot is brilliant, the characters won't leave you alone for a long time after you've finished reading the story, and the writing is so good my copy is full of post-it notes. If he were living today, Shakespeare would be jealous of Life or Death. HoCaM: LIFE or DEATH is your 10th novel. If you look at the past 11 years, since THE SUSPECT was published in 2004, how do you analyze it all (without going into Freud or Jung territory)? M.R.—It’s strange to think I’ve been doing this for 11 years. When I started I remember thinking it would be great to get just one novel published. I figured it would probably sell a dozen copies – my mother would buy eight of them – and then I’d go back to ghostwriting or journalism, which were making me a good living. I am enormously grateful to have made a career out of writing fiction. It’s something I dreamed about from age eleven when I wrote a letter to Ray Bradbury and he wrote back to me. Later I had dreams of winning the Novel Prize – believing as all teenagers do, that my brilliance was indisputable and it was only a matter of time before I was ‘discovered’. Later again, I began to accept my limitations. Just as I was destined never to win Wimbledon, or captain the Australian cricket team, I realised that the Nobel Prize for literature was perhaps a little beyond me. I settled instead for writing books that I would want to read. ‘Entertainments’ as Graham Greene called them. It has stood me in good stead. HoCaM: You went from journalist to ghostwriter to novelist; how would your fiction be different today if you’d started as a novelist? M.R.—Twenty-eight years ago, when I was still a journalist, I wrote the great unpublished Australian novel. It was more literary in style and quite worthy in tone, without a murder in sight. The novel was almost published by Penguin in the UK, missing out by a single vote in a final publishing meeting. Looking back, I’m glad that it wasn’t picked up. If I had been published at twenty-five, I would probably have thought I was God’s gift to writing and been quite obnoxious. I would also look back now and cringe at that first effort. I am a better writer today for having been a ghostwriter. I know how to capture someone’s voice and hopefully make a character leap from the page and live and breathe in a reader’s imagination. I have the discipline and the tools to be a writer, but I have lost the ego. Every new book is a blessing. Every new reader is a joy. Life is good. HoCaM: What other experience(s) or job(s) helped your writing? M.R.—I grew up in very small country towns in Australia, places with more dogs than people and more flies than dogs. I wanted to be a writer – but felt I had nothing to write about, because Mark Twain had stolen all the best plots. That’s why I decided to become a journalist – to gather material. So I started as a cadet journalist at the age of 17 and for the next 14 years worked on national newspapers in Australia and the UK, covering events like the fall of the Berlin Wall and the collapse of the Soviet Union. A journalist is never an expert on anything. He or she is a jack-of-all-trades, learning a little about a lot of things. In the course of my career, I interviewed presidents, prime ministers, convicted killers, terrorists, dictators, grieving families and victims. Ultimately, I had the material to be a writer – I just had to find the patience, the confidence and the right story. HoCaM: LIFE or DEATH is a special novel for you because it is a story you’ve wanted to tell for a while. Can you explain the hook that caught you, and how you made it your own story? M.R.—The seed of LIFE OR DEATH can be traced back to March 20, 1995, when I read a small story in a Sydney newspaper about a convicted killer who escaped from prison on the eve of his release. The big question of course, is WHY? This intrigued me. I knew it was a great hook for a novel, but I couldn’t work out why someone would do such a thing. Periodically, I would keep coming back to the idea until finally I came up with a reason. Even then, I didn’t write the novel, because I didn’t know if I had the skills to pull it off. Firstly, I was setting it in Texas – a place that I had only ever visited. Secondly, I knew LIFE OR DEATH needed a love story at its very heart. There had to be a reason that Audie Palmer would endure 10 years of horrendous treatment in prison, only to escape the day before his release. HoCaM: When LIFE or DEATH was published outside the US, last fall, you’ve told me that you thought this was your best novel so far. As writers usually try to write a better book than the previous one, can you explain how you see this one differently, as compared to your previous ones, and why you feel so strongly about it? M.R.—Every writer will tell you that the story they put on the page is never quite the one they have in their head. It is never quite as good. The imagination is flawless. The intellect is human. This is the constant battle that all writers fight. With LIFE OR DEATH I think I have come closer than ever before in capturing the essence of the story I wanted to tell. That’s why it’s so special to me. HoCaM: What will you say when the next one comes out? M.R.—Well, I’ve finished my next book and the answer is no. LIFE OR DEATH is still special to me. It was a magical experience to write and I hope to have that feeling again one day. HoCaM: Have you ever put a story aside, either because it was going somewhere you weren’t fully prepared to delve into or because your emotional connection to it wasn’t right? M.R.—Because I don’t plot my novels in advance or write to any preconceived plan, I often have to throw away material or consign it to the bottom drawer. In the past I’ve jettisoned as much as 40,000 words because I wrote myself off a cliff and there was no way back. Stephen King came up with a wonderful analogy. It’s like walking along and stumbling upon a bone sticking out of the ground. You begin brushing away the dirt, digging deeper, but you’re never sure if you’re excavating a dog bone or a dinosaur. If it’s a dog bone, you have to start again. If it’s a dinosaur you’re in business. 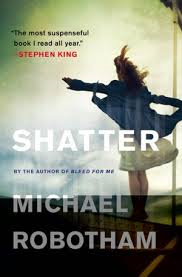 When it comes to the emotional toll, I did once vow that I would never delve into very dark territory again after writing SHATTER, a psychological thriller featuring a particular nasty villain. In particular, I struggled with the scenes written from the killer’s point of view, often curling up in bed, trying to get the voice out of my head. HoCaM: Of course, when one writes crime fiction, one needs to deal with violence and death. What are the challenges in doing it while terrorism, violence, and death seem to be in the news all the time? 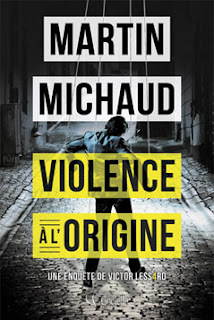 M.R.—I’ve toured South Africa a few times and I’m always amazed at how many crime fiction fans there are. On my last visit I read in that morning’s paper that 52 police officers had died so far that year in Johannesburg. Fifty two! I thought, why would anyone want to read a crime novel when the local paper was saturated in bloody and violent events? The answer lies in one of the great truths about crime fiction. We live in an imperfect world, where many violent and treacherous people get away with terrible things. But in most crime novels, justice is normally served. The bad guys are caught and the good guys survive, damaged, but living to fight another day. HoCaM: So it’s important for you to always end on a positive note? M.R.—I think it’s important to have a resolution that readers can accept and understand. It doesn’t have to be happy-ever-after but there needs to be some redemptive sense of hope or acceptance that survival is victory enough. My characters tend to be damaged by events, but able to endure. HoCaM: You never know in advance where you’re going? Have you ever tried different endings for the same novel? M.R.—As I mentioned earlier, I have no idea how a story is going to end when I begin. With LIFE OR DEATH I knew that it would open with a prison escape and a man who should be running from trouble, but instead heads straight into the fire. I often despair that I won’t come up with an ending. It’s the scariest part of the process – almost like living the story in real time. My characters are hanging on, clinging to the cliff face, and I have to find a way to save them. HoCaM: I think it is always more interesting when we observe life through the eyes of one person or of a small group of individuals rather than with a global view. This is why I admire how you always take the readers into the characters’ lives, opening a window into their inner thoughts and motivations, and how you take the time to explain the reasons behind their emotional and psychological scars, without ever sacrificing the flow of the story. How do you get the right balance? M.R.—I think the answer goes back to my days as a ghostwriter collaborating with prominent people to help them pen their autobiographies. I learned that people are not just three-dimensional. We all have countless layers of personality. We all have secrets. We all have fears. This is something I also learned when I was working with Paul Britton, an acclaimed psychologist, who pioneered profiling in the UK. Even when he was dealing some of the most horrendous killers imaginable, he discovered that none of them were born ‘evil’. None of them were ‘bad to the bone’. All of them had mothers and families and former friends and people who once loved them. I try to capture this reality in my fiction, creating characters who have many layers of personality, who are scared or scarred for a reason. Society gets the monsters it deserves. HoCaM: The decision of creating Joe O’Loughlin as a psychologist, and not a firefighter or a plumber or a bus driver, then became a deliberate one on your part to be able to get a more analytical view of it all? M.R.—As mentioned above, I was very fortunate to spend a number of years working closely with Professor Paul Britton, a psychologist who had spent his career working in secure mental hospitals and psychiatric units, dealing with some of the dangerous people imaginable. Joe O’Loughlin is nothing like Paul Britton as a character, but he does have the same understanding of human behaviour and the ability to look at a person – the way they’re groomed, dressed, standing, walking, driving, sitting etc… and glean amazing insights into them. 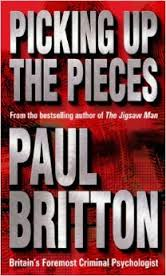 Paul Britton triggered my fascination with the psychology of crime and he was the reason I created Joe O’Loughlin as a character. HoCaM: Do you remember the Eureka moments, or the ‘births’, of Joe O’Loughlin and of Vincent Ruiz? Was it always with the intention of creating a series? HoCaM: Do you have a personal approach when it comes to trying to connect with the reader, to grab his/her attention, or is it more a question of experience, or instinct? M.R.—Modern crime novels are very different beasties to those written even thirty years ago. Gone are the days when writers could spend two hundred pages describing the setting and introducing characters before one of them turns up dead. I think I operate more on instinct than experience. As the story unfolds I can tell when it begins to slow, or when something has to happen. I ratchet up the tension, putting characters I love under enormous stress, hoping I can find a way of saving them. I don’t agree with writers who say that they never write with their readers in mind. I think that’s a very selfish attitude. I want to challenge my readers and to make them think, but I never forget they’re there. I’m taking them on this journey. They’ve invested their money and their time and their faith in me to tell them an interesting story, which is why I try not to disappoint or leave them traumatised or take them for granted. HoCaM: How important are the settings, the places, and do you create them more for the characters or for the stories? M.R.—Some writers begin with place. I begin with characters and the seed of the story and find a place that fits. If possible that location then becomes another ‘character’ in the story. With LIFE OR DEATH, I felt I had a big story that needed a big setting, which is why I chose Texas. There’s a slogan that says Texas is ‘like a whole other country’ and it’s very true – not just because of its size and cultural diversity, but its food, pride, people and the history. What other state has its own Texas Independence Day or bumper stickers threatening to secede? The other reason I chose the US is because at a local county level people often elect local sheriff, district attorney and judges. The fate of any suspect is determined by only a handful of people – who decide what charges someone faces, who represents them and what judge sits on the case. I find this quite scary. HoCaM: Is there an event that you covered, while a journalist, that touched you more deeply or personally and that still haunts you today, or that you think about regularly? M.R.—There are many events that touched me deeply. Often it was the smaller events that impacted me more than major news stories like the Berlin Wall coming down. In my early days as a journalist, I worked night shift when we monitored police, fire and ambulance radios, dashing off to cover any major event in the city. Stabbings, murders, suicides, accidents, jail breaks, drug overdoses, gang wars and police raids – all many of stories. One night we went out to a very minor and routine accident, where a truck driver had crashed into a bridge pylon and was pinned in the cabin of his truck. He was uninjured by the crash, but trapped. I chatted and joked with him while we waited for the mechanical jaws to arrive and cut him out. Moments after I stepped back from the truck, it exploded into flames. I heard him screaming as he died. That incident has haunted me for years. Before then I treated the dead and wounded almost like characters in a TV drama – the blood wasn’t real, it was just make-up. But I chatted to this driver. I knew he was married with kids. We made a connection. It still makes me shudder. HoCaM: Were there events, in the past ten years, that you would have liked to cover as a reporter? Anything specific? M.R.—For years after I quit journalism, in 1993, I used to see events unfolding on the news and wish I was there. I knew many of the journalists and could picture myself being with them. That all ended on September 11, 2001. I witnessed the towers coming down and had no desire to be there. I knew that journalism was finally out of my blood. HoCaM: You’ve been a ghostwriter of biographies for many well-known people, but if you could choose one person to interview and write about, who would it be? M.R.—My wife would say George Clooney, but only if she could sit on his knee and take notes. I would say Jessica Alba, but only if she could sit on my knee and take notes. Who would it be? I don’t know. I would happily ghost Obama’s autobiography and would love to get into the head of Vladimir Putin and see what makes that guy tick. HoCaM: Do you have a long-term plan for your series or do you go one book at a time? HoCaM: As a writer living so far from Europe and North America, how do you survive the long-distance promotional tours? M.R.—Jetlag is a killer. As I get older it gets harder and harder to overcome, but I refuse to complain. A few years ago, I was in Toronto sharing a drink with the wonderful British writer Kate Mosse. I had been seven weeks on the road and Kate had been five weeks away from home. We were both bitching about missing our families and our beds. At that moment, we looked out the window of our stunning five-star hotel as the sun set over Lake Ontario and both of us realised that countless writers all over the world would cut off a limb to be in our position. So we sucked it up and ordered another bottle of Champagne. HoCaM: What Australian writer –other than yourself—should we be reading? Can you recommend anyone that isn’t published internationally yet but should? M.R.—Peter Temple is Australia’s finest crime writer, who has won the UK Gold Dagger (THE BROKEN SHORE) and also Australia’s highest literary honour, the Miles Franklin Award (TRUTH). Another very fine Australian crime writer is Garry Disher, who has a couple of series that are set in Australia. I also rate Malla Nunn very highly. Her main character, Emmanuel Cooper, is a detective in apartheid South Africa – a good man in troubling times, trying to solve crimes and keep above the politics. 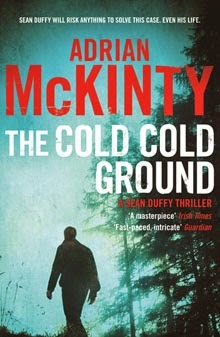 And finally, although he’s only a ‘new’ Australian, I recommend Adrian McKinty, who has come to us by way of Northern Ireland and then America, but is now happily settled in Melbourne. His Sean Duffy series set in Northern Ireland during the Troubles are wonderful crime novels. HoCaM: Can you tell us a little about your next novel and if there is a pub date? M.R.—The next one is called CLOSE YOUR EYES and sees the return of Joe O’Loughlin and Vincent Ruiz. After six years living alone, Joe has a chance to start over when he’s invited to spend the summer with his estranged wife Julianne and their two daughters. But soon there are complications. A mother and her teenage daughter are found murdered in a Somerset farmhouse, one defiled by multiple stab wounds and the other left lying like Sleeping Beauty waiting for her Prince. Reluctantly Joe is drawn into the investigation because another psychologist, a former student calling himself the ‘Mindhunter’ has traded on Joe’s name and jeopardised the police inquiry by leaking details to the media and stirring up public anger. HoCaM: And as a last question (in fact there are two), this is something that I ask every writer that I interview: let’s say there is a novel written with you as the main character. A) What would be the first sentence? M.R.—He said he’d do it and he did. B) How would your character die? Hopefully, he’ll recover in time to write another novel or two! A huge thank you to Michael Robotham for taking the time to do this. You can visit his website, follow him on Twitter or Facebook, but more importantly, you should buy his books. Thank you for visiting the House of Crime and Mystery. A special hello to all women on this “International Women’s Day”. ©Jacques Filippi 2011. Travel theme. Powered by Blogger.